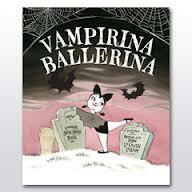 If you have a little aspiring dancer in your house, then they will love this story of an aspiring ballerina who also happens to be a vampire. There are a few challenges that come up when you are a vampire who wants to be a ballerina, but with a lot of work, Vampirina manages to overcome her differences and become the star she has always dreamed of being. 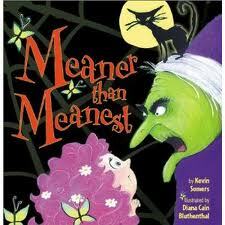 An old hag who is the second meanest creature alive (her cat is the first meanest) decides to create a Halloween creature that will be even meaner. She uses just the right recipe to create this awful creature, but later realizes she has left out a key ingredient and ends up with something quite different than she expected. 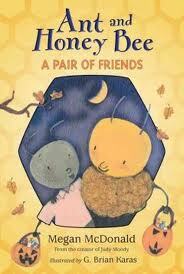 This is an adorable book that will leave you smiling. 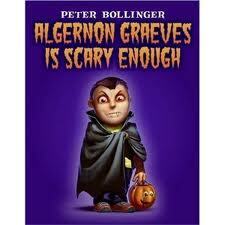 Algernon Graeves is trying to figure out what to be for Halloween. He tries on all kinds of costumes from his attic. He tries a ghost and a vampire and a skeleton and a zombie and a mummy, but none of them seem scary enough. Luckily, he’s in the attic where there’s all kinds of things to choose from and he ends up with quite a costume. 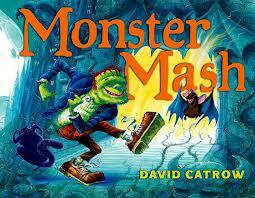 This book is set to the words of the famous “Monster Mash” song, but with illustrations that your child will love. I don’t know if you’ll be able to just read the book though, you may end up singing it to your child instead. Lots of Halloween fun is wrapped up in this book. Enjoy! Did you ever wonder where the saying that cats have nine lives comes from? 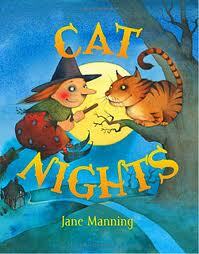 Apparently it is an old Irish legend and the legend comes to life in this sweet story about a witch who really wants to be a cat. Her cousins try and save her from turning into a cat permanently, but later realize that maybe they’ve made a mistake. There is a summary in the back that explains the legend of the nine lives, too. Lizzie is a curious little witch who just can’t help herself and she HAS to go and check out the house that still has its lights on when the rest of the world is sleeping. 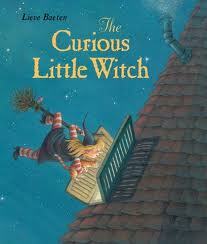 Lizzie’s curiosity causes her to break her broomstick and her trip through the very interesting house ends up with Lizzie finally finding a way to get her broomstick fixed. This is a fun book to read because the pages are different sizes…they will make your little one want to turn the pages for you. There is also a fun little treat at the very end of the book. We have been using our fire pit on the back porch to make s’mores this past week. My seven-year old decided that we should add some scary stories to our s’more making. We went to the library and found some books that looked WAY too scary and then we found this little gem. It is scary but in a Hansel and Gretel folk tale type of way, not a blood and guts type of way. This book is also great because it doesn’t just have stories. It also has poems, knock knock jokes and even a little section on how to draw spooky creatures like monsters and witches. This book would be great around Halloween time, too. Ant and Honey Bee have been pilgrims for Halloween for a couple of years in a row. They decide to do something differently this year and they put a lot of work and creativity into their new costumes. When they step outside to go trick-or-treating, however, Mother Nature all but ruins all of their hard work. The pair will not be undone though, they make lemons out of lemonade and use their fast thinking and creativity to salvage their costumes.